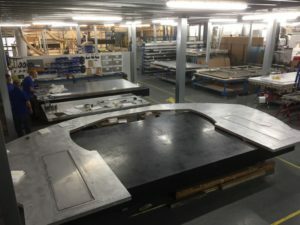 As a company with eight divisions we have 30 years manufacturing experience and product development; we work closely with a wide variety of industries from aluminium honeycomb, energy absorption, automotive safety testing solutions, composite panels, interior design and architecture to motorbike distribution and a range of manufacturing and engineering services. Encocam prides itself on being a leader of innovation and creativity, as well as being a forward thinker in technology and manufacturing, believing strongly in continuous improvement. 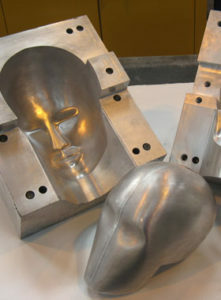 To maintain our reputation and the growing demand in the industries we are established in, we have expanded our site and invested in more engineering personnel, testing facilities, state-of-the-art milling equipment, 5-axis machines and 3D printers. This investment in equipment, buildings and personnel have supported the continued growth of our eight divisions, with the automotive sector having particular success in recent years. Traditionally Encocam has provided crash test barriers, which have seen increased demand from our global customer base and the industry in general. Our aluminium honeycomb deformable crash test barriers and other impactors are a crucial element in both passive safety regulations and customer information tests worldwide. Due to the quality of the barriers and the reputation we have established within the market, many within the automotive industry trust us to help solve other challenges. This has been demonstrated with our advancement into the Anthropomorphic Test Device (ATD) sector, following demand from our customers; we are now involved in major projects that are at the forefront of the industry. Composite panels have been another division that has seen particular success and growth, specifically the bespoke composite panels. This is an area that more customers are looking for support with, and due to our strong engineering team, we are able to make complex structures to fulfil client’s particular requirements. 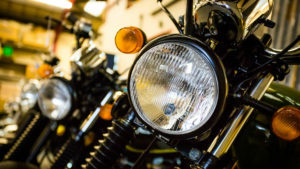 Encocam also supplies motorcycles under the brand Herald Motor Company, it currently imports and then improves them, before sending them to dealers. The company’s ambition is to develop a British made motorcycle in the near future, demonstrating our engineering skill and our commitment to meeting customer demand. Our reputation in the industries we are involved in has gone from strength to strength. We are always pushing the market forward as a business with new products that aim to meet our clients’ needs, supported by our continued investment in people and facilities.